Enjoy a relaxing stay at the ASURE Colonial Lodge Motel. We offer friendly Napier Accommodation located in the suburb of Taradale in Hawke’s Bay. Our award winning native park-like grounds are only five minutes drive from the the Napier City centre, and walking distance to the Taradale shopping village. Our quiet location and well-appointed rooms offer and ideal central accommodation choice for business travelers, family holidays, weekend breaks or group tours. 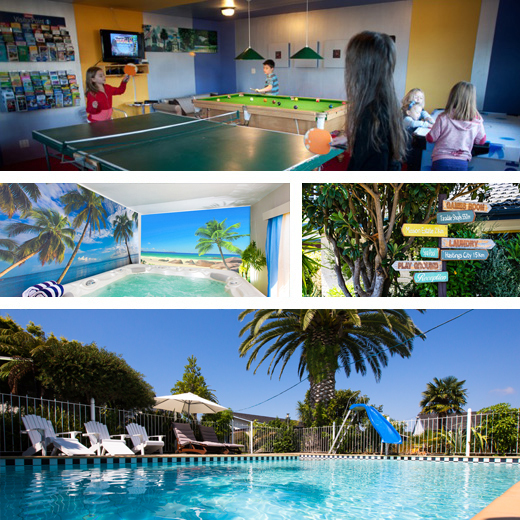 Our motel guests enjoy our large family in-ground swimming pool, a nice hot spa at the end of a long day, our family games room and free wifi. Room service is also available on request. 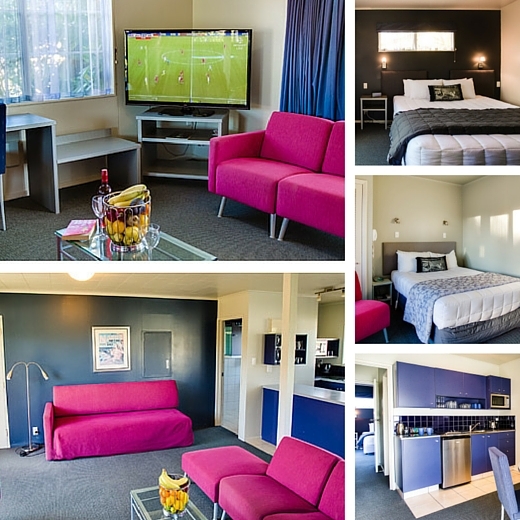 Our Napier accommodation is located near Napier airport, and is set in an award winning native park-like grounds in Taradale, a premier suburb of Napier. With a heated swimming pool, private spa and games room we are a wonderful base for a family holiday or the business traveler. Refurbished to a very high standard of contemporary living. Whether you are travelling for business or pleasure; alone or with family or friends we have the perfect Napier accommodation ranging from studio, 1, 2 or 3 bedroom apartment to meet your needs. Whether it’s relaxing by our heated pool, or in the spa with a glass of wine whilst your kids play in the games room, there’s plenty on offer. Hawke’s Bay is regarded as the “food bowl” of New Zealand. 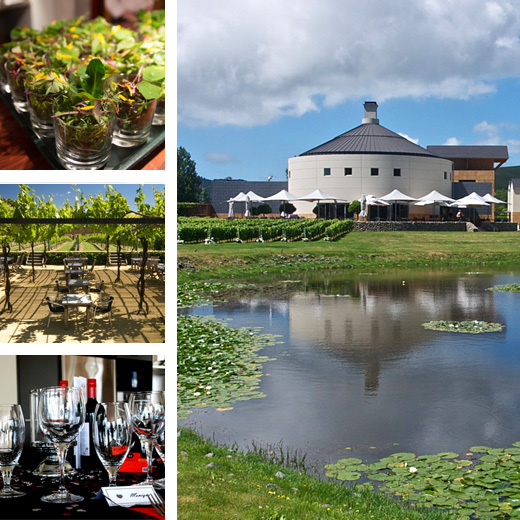 Winery lunches are a must on any visit to Hawke’s Bay and with over 100 vineyards and 80 wineries, visitors are spoilt for choice.